L.L.905 participates with the CLC to influence our decision makers to make our country better for all Canadians. 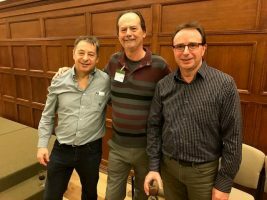 On February 6th ( Left to Right ) Dave Thompson, Scott Jackson and Kris Socha with over 300 CLC lobbyist’s, the largest group in CLC’s history, ascended parliament hill. The issues brought to our MP’s and Senators were, legislating pay equity, pension protection, fixing EI, and to create a national pharmacare program. Happy Retirement to Brother Phil! 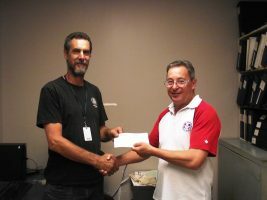 Brother Phil is shown accepting a retirement cheque from Local Lodge 905 President Dave Thompson. 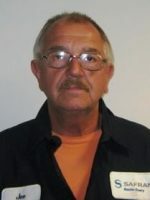 Brother Phil Hamblin is retiring after 30 years of service at the Ajax plant. 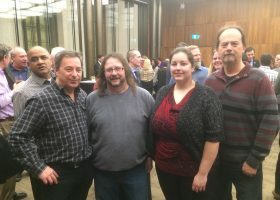 64 Machinists formed part of a 341 labour activists delegation under the Canadian Labour Congress (CLC) lobby on Bill C-27changes to federal sector Defined Benefit Retirement Plans, Pharmacare and Pay Equity. Left to Right: LL905 President Dave Thompson , District Lodge 78 Business Rep./Organizer Jim Snider, LL905 Steward Rebecca Carpenter, LL905 Grand Lodge Rep. Scott Jackson. Happy Retirement to Sister Lidia! 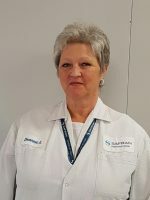 Sister Lidia Jakubiak is retiring after 21 years of service at the Peterborough Plant. 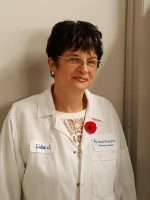 Happy Retirement Sister Lidia! Happy Retirement to Brother Dan! Brother Pavel Blaha wishing past Chief Steward a Happy Retirement and thanking him for a long outstanding service to all our Local Lodge 905 sisters and brothers through the years. Brother Danny Robertson retired after 29 years of service at the Ajax plant. A Big thank you from all of us, enjoy your well deserved Happy Retirement! 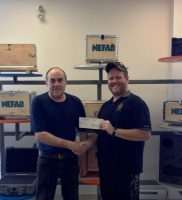 Brother Jim Coombs being presented his retirement cheque at the Nefab plant by Chief Steward Ian Kimball. 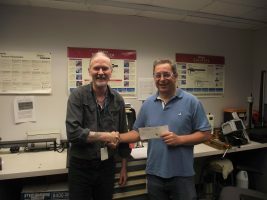 Brother Jim Coombs is retiring after 28 years of service at the Peterborough plant. Happy Retirement Brother Jim! Happy Retirement to Brother Rick! 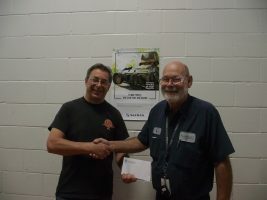 Brother Rick is shown accepting a retirement cheque from Local Lodge 905 President Dave Thompson. 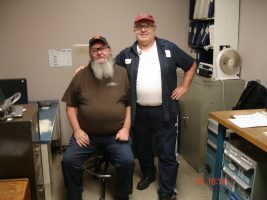 Brother Ernest Rick Surman is retiring after 30 years of service at the Ajax plant. Happy Retirement Brother Rick!